George Steuart Teas (Pvt.) Ltd., one of the top tea exporters in Sri Lanka, recently announced that it has won the intellectual property case against Unilever Lipton Ceylon Ltd. The ruling was issued by the Commercial High Court of Colombo on 23rd November 2018, pertaining to a lawsuit filed by Unilever Lipton Ceylon on 25th September 2014. After four years and two months of hearing at the Commercial High Court of Colombo, the relevant trial came to a conclusion with the verdict given by High Court Judge Ruwan Fernando on 23rd November 2018. The High Court Judge proclaimed that the Defendant - George Steuart Teas (Pvt.) Ltd. has not violated the intellectual Property Act (No. 36 of 2003). The court ruling dismissed the claims raised by the Plaintiff - Unilever Lipton Ceylon Ltd., highlighting that the Plaintiff has not proved its position. In its complaint filed at the Commercial High Court of Colombo, the plaintiff claimed that the defendant has engaged the brand name ‘Rosa Kahata’ in an unfair competition, hence committing a violation of intellectual property Act (No. 36 of 2003). The plaintiff further elaborated that George Steuart Teas (Pvt.) Ltd. has implemented its ‘Rosa Kahata’ ad campaign by emulating the plaintiff’s Laojee Rosa ad campaign; in terms of brand concept, thematic elements as well as the look and feel. Clarifying the matter, the plaintiff pointed out that George Steuart Teas (Pvt.) Ltd. has gained an undue advantage from the plaintiff’s Laojee brand. The plaintiff further demanded a sum of Rs. 10 Million from the defendant for compensation in return for the loss incurred. Upon a request made by the plaintiff, initially the Commercial High Court of Colombo issued an interim order to George Steuart Teas (Pvt.) Ltd. to temporarily suspend the sales and use of its tea under the brand name ‘Rosa Kahata’. Nevertheless, the relevant suspension was lifted subsequently by the court. The recent court ruling signifies a landmark victory for George Steuart Teas (Pvt.) Ltd., once again ascertaining the uniqueness of its ‘Rosa Kahata’ ad campaign. Chandaka Jayasundara PC with Pulasthi Rupasingha AAL and Charaka Jayarathna AAL appeared for the defendants, under the instructions of Capital Law Chambers & Corporate Consultants. 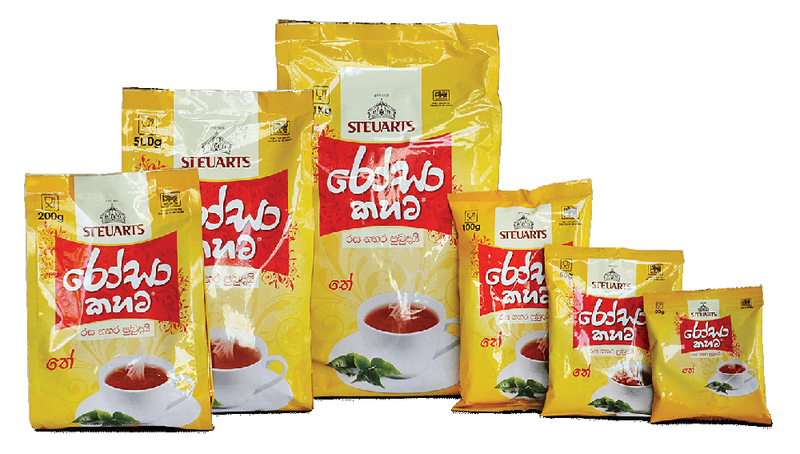 Being a subsidiary of Sri Lanka’s oldest mercantile company in Sri Lanka: George Steuart & Co, George Steuart Teas (Pvt.) Ltd. holds a strong foot print across the world, and has maintained its position in the forefront of Tea industry for well over 50 years.